Transformative technologies” is an umbrella term for medically and scientifically validated technologies supporting mental health, sleep, well-being, and thriving. The seminar will cover the main growth drivers, market leaders and active investors in select verticals, exciting areas of research ready to hit the market. The seminar will be taught by Nichol Bradford, who is the CEO of the Willow Group and Executive Director of the Transformative Technology Lab. Seth spoke at the Future of Food Tech Conference in San Francisco. He was part of an investor panel around personalized nutrition. Seth spoke at the Hello Tomorrow Global Summit in France in mid-March. He gave a keynote with the topic of "Deep tech, a tool for good? ", and participated in an investor panel discussing the challenges and opportunities of biotech. Introduction to Synthetic Biology seminar is an introduction to the world of biology, biotechnology and synthetic biology. We start with an input/output approach to biological systems, then explain where biological molecules come from and how they perform such a wide variety of functions. You will learn how these very same properties of native cell function allow us to probe, manipulate, and modify cell function. With this core knowledge in hand, we’ll discuss state of the art industry applications, such as the ability of biological systems to produce a vast variety of chemicals including fuels, biomaterials, food and drugs. Impact.tech hosted a seminar on Clean Chemicals. The Clean Chemicals seminar provided an overview of forces shaping the chemical industry at large and a revieweded the 12 principles of green chemistry, especially the atom economy. It focused on the aspects of competitiveness, and how to use technological innovation and economy of scale to survive on the commodity-based market full of multibillion-dollar incumbents. The seminar was taught by Wojciech Osowiecki, a PhD candidate in chemistry at UC Berkeley. Impact.tech is hosting another seminar - this time the theme is cellular agriculture. The event will be led by Liz Specht and the discussions will focus on major breakthroughs in the field, the main actors in the academia and industry, as well as commercialization and cost curves for “clean” products. We are looking forward to seeing you there! We would like to invite you to an Impact.tech seminar on New Technologies in Plant-based Food Production. The seminar will be taught by Liz Specht, a Senior Scientist with the Good Food Institute, a non-profit organization advancing plant-based and clean meat food technology. She works with researchers, funding agencies, entrepreneurs, and venture capital firms to prioritize work that advances plant-based alternatives, cellular agriculture, and clean meat. Join us by signing in through the link below. Seth will be a speaker in SynBioBeta 2018, the Global Synthetic Biology Global summit, organized as a part of the Synthetic Biology Week. At the end of September Ela will visit Los Angeles to participate in one of the panels at the Reducetarian Summit. The goal of the Summit is to bring together people and perspectives from all corners of the world to explore strategies and tactics for ending factory farming and reducing societal consumption of animal products - and provoke conversations that matter. Seth was invited to speak at a new stage presented by Forbes 30 under 30 in Boston - one for social entrepreneurs. He will be accompanied by Samir Kaul of Khosla Ventures, Ann Wang of Enrou and Jean Case of Case Foundation, among others. Ela will be speaking at The Good Food Conference in September. GFC is the only event in the world focused on accelerating the commercialization of plant-based and clean meat. Other speakers include Ann Veneman, Fmr. United States Secretary of Agriculture, Uma Valeti, Founder & CEO of Memphis Meats and Pat Brown, Founder & CEO of Impossible Foods. The Seminar on Anti-aging Science will be taught by Martin Borch Jensen, who did his doctoral research in biogerontology at the National Institute on Aging in Baltimore and the University of Copenhagen and is currently a postdoctoral researcher at the Buck Institute for Research on Aging, where he uses fruit flies to study mechanisms of life extension. The seminar will be hosted on August 8th in San Francisco. We hosted Cohort 2 of the "Arrival of Quantum Computing” deep dive Impact.tech seminar on July 10th, 5pm - 7:30pm. The seminar was led by with Will Zeng from Rigetti Computing and covered the basic science of QC, main architectures and approaches, commercialization timelines, and include the current QC industry overview. Seth spoke at the Future Food Tech event about impact investing and the role of the food-tech VC in shaping the future of food. Future Food Tech Seminar brings together the world’s largest food companies and retailers with technology companies and investors from the food tech field. Ela gave a keynote at the Annual Founder’s Pledge Forum. The event took a close look at the current trajectory of business and technology, asking where we are heading, and how all changemakers - social sector, public sector, academia, and business included - can coordinate to create a fair and sustainable future. Ela and Seth were quoted in an ImpactAlpha article discussing the Katapult Future Fest Festival in Oslo, an event held on May 30th 2018. Seth discussed the future of sustainable food in a fireside chat along with Peter Verstrate, the founder of Mosa Meats, Päivi Juolahti from Fazer and Mattias Lepp from Click and Grow. In their write-up on Katapult Future Fest, Forbes mentioned Fifty Years with some shout-outs to a few of our incredible portfolio companies. Seth gave a keynote about Cellular Agriculture at Katapult Future Fest in Oslo on May 15th. At the Global Conference 2018 by Milken Institute, Ela was part of the Trends in Venture Capital panel, sharing her insights about the future of impact investing and Fifty Year's mission. Ela and Seth both attended the prestigious conference, annually bringing together more than 4000 attendees, all senior decision-makers in their field. Seth and Ela hosted a deep dive Impact.tech Seminar on Quantum Computing. The seminar was taught by Will Zeng, a quantum theorist and Head of Quantum Cloud Services at Rigetti Computing, one of the leading quantum computing companies in the world. Will gave a comprehensive summary of the quantum computing scene, which was followed by Jeremy Witmer, a PhD Candidate from Stanford in the field of Applied Physics, who "raised the curtain" on quantum internet research. Both Seth & Ela were invited to give keynote talks about impact investing and the work that we do at Fifty Years, for the third year in a row, at this Europe's biggest tech festival (17,500 participants). Ela also judged a science pitches competition at Slush.org, among an impressive group of academics. PRESS : "Investing in companies with social impact"
During the prestigious Future Investment Initiative conference in Saudi Arabia, Maria Bartimoro from Fox Business interviewed one of our founding partners - Seth. How Is The Next Generation Reshaping Business, Culture, Investment, and Society?" opened the second day of this prestigious conference. Seth was keynoting and judging at the Berkeley semi-finals of Smogathon - global competition for smog fighting innovations. We're honoured that Ela has been chosen by the European Commission to the Innovation Advisory Board for the Group of Seven (G7) for this year's Italy summit. PRESS : "Billionaires and big ag are joining venture investors to fund lab-grown meat"
One of our portfolio companies, Memphis Meats, just announced their Series A financing. They raised $17 million from investors including DFJ, Bill Gates, Richard Branson, Cargill and Fifty Years. 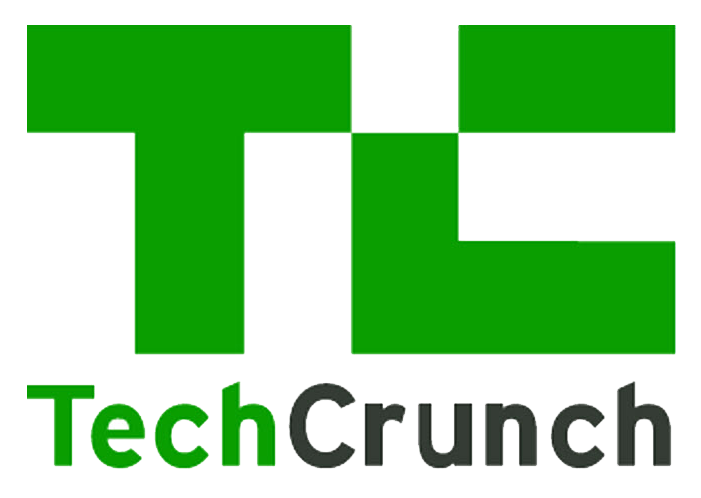 TechCrunch covered the funding announcement and interviewed one of our founding partners - Seth. said Seth Bannon, a co-founder of the upstart venture firm Fifty Years and an early investor in Memphis Meats. PRESS : "Meet the 'Vegan Mafia', a secret group of investors betting on the future of food"
The CNBC published article about the so called 'vegan mafia', including interview with one of our founding partners - Seth. Bannon and his co-founder Ela Madej are both vegans, but stress that they're not in it purely for philanthropic reasons. "The case for giving up meat is clear: There's a health case, an environmental case," he said. "But we have largely given up on education as a tool for convincing people." Bannon says the entrepreneurs in his network are instead approaching the market with a "strict business lens." As a result, the space is attracting investors who aren't vegan or vegetarian but see a way to make a solid return. Seth and Ela hosted a deep dive Impact.Tech seminar on cellular agriculture by Dr Liz Specht from Good Food Institute. At Y Combinator Research in San Francisco, a small group of investors and entrepreneurs studied the current landscape of cellular agriculture industry, the biggest challenges and opportunities. Harry Stebbings, creator of The Twenty Minute VC podcast, interviewed Seth about our mission, strategy, the ongoing deep tech explosion, and our deep belief that much of Silicon Valley's talent is currently going to waste. Seth and Ela hosted an open Impact.Tech meetup about impact in the space tech sector. Speakers included John Gedmark, CEO of Fifty Years' portfolio company Astranis. Seth was judging The Velocity Fund Finals. Top 10 early stage startups from Waterloo area and top 10 student projects from University Of Waterloo competed for equity free grants. Seth and Ela hosted a deep dive Impact.Tech seminar on the science of aging by Martin Borch Jensen from Buck Institute for Research on Aging. At Y Combinator Research in San Francisco, a small group of investors and entrepreneurs will learned about the biological processes behind aging, and the current landscape of anti-aging research. Ela and Seth were both invited as emerging technology leaders to the annual Northern Light summit by The European Business Leaders’ Convention (EBLC) that gathers 150 top business leaders, scientists and innovators. Ela & Seth were both speaking on the main stage of Pioneers Festival in Vienna sharing the vision of Fifty Years and talking about using technology to solve the world's biggest problems. Ela was also judge in the Pioneers Challenge startup competition finale, choosing the winners from 8 finalists selected out of over 4000 applications. At the Katapult Future Fest in Oslo, Seth gave a talk about how exponential technologies for good will shape the future of capitalism. Video will be available online soon. At the Global Conference 2017 by Milken Institute, Dr. Uma Valeti CEO & co-founder of our portfolio company Memphis Meats was part of a panel about alternative protein sources disrupting the future of food. Ela attended together with 3500 attendees from 50 countries, all senior decision makers in their field, speaking to them about the future of impact investing and Fifty Year's mission. At the National Food Policy Conference organised by Consumer Federation of America in Washington, Seth was part of a panel about food industry disruptors. Ela was speaking as part of "Future of Finance Breakaway" panel , together with James Joaquin (Co-founder & Managing Director, Obvious Ventures) and Colin le Duc (Co-founder & Partner, Generation). Ela & Seth were among 25 people invited to try clean chicken meat tasting event organised by our portfolio company Memphis Meats. All the chicken meat served at the event was produced from cells in Memphis Meats lab. Ela gave a talk about Fifty Years mission and the future of capitalism. Ela gave a talk about the future of capitalism. PRESS : "Impact Investing - interview with Ela Madej"
The Economist Impact Investing team published interview with our founding partners - Ela. We invest in companies using technology to solve the world’s biggest problems, using UN SDGs as a proxy for “problems”. We believe that these tech-enabled businesses solving real problems will be among the most profitable. PRESS : "Ela Madej Pursues UN Sustainable-Development Goals Through Technology Entrepreneurs"
B the Change media published a long profile of one of our founding partners - Ela. Madej says that Fifty Years stands out among impact investors because of how it vets portfolio companies. “Our first question is: Can the business significantly contribute to solving one of the challenges as defined by the UN Sustainable Development Goals?” Ela says. “Second: Can it be a massively big business? Ela & Seth co-hosted an Impact.Tech event "Challenges of 2017 & Onward, and How Tech Can Help". During this Europe's biggest tech festival (15,000 participants) Seth gave a keynote on our work at Fifty Years. He was also on a panel about investing for impact & he led an impact investment roundtable during the Slush "Investor Day". Ela was on the food tech panel & had an interview +open Q&A on the Slush "speaker studio" stage. PRESS : "Silicon Valley makes room for new nourishment"
Seth is quoted in this Financial Times article about the impending food revolution. PRESS : "Despite Legal Troubles, This Startup Is Trying To Do Right By Workers"
Seth was quoted in this BuzzFeed article covering how company Josephine is providing contractors with stake in the company. As an investor, I see this as a grand experiment that could either be totally unworkable, or maybe lead to a paradigm shift in how businesses are organized,” he said. “Often, as an investor, that’s exactly where you want to be. High risk, high reward. Ela was judging demo day presentations by social impact companies. Seth gave a talk "Aligning Profits & Impact in High-growth Startups". Seth was part of Investor Panel session, speaking about investing in biotech companies. "This New Silicon Valley VC Firm Wants To Fund Solutions To The World's Biggest Problems" by Adele Peters. "Fifty Years - The new Silicon Valley VC that wants to save the world AND make money" by Mike Butcher. Ela was on a panel about the future of investing. Seth was on a panel about the future of cryptocurrency and blockchain : "On-Chain Off-Chain Blockchain: The decentralised Revolution". Both Ela and Seth were judging and had a talk about investing to save the world during the "Challenge day" of the festival. Seth gave a talk "Impact is the New Mobile". Ela & Seth gave a talk "How to Eat Glass" about the stressful journey of entrepreneurship, and daily routines that will help you manage the rollercoaster. Seth explains how Impact is the New Mobile. Ela was judging foodtech startup pitch competition.